Rain City Soccer Club (RCSC) strives to offer opportunities for its members to become involved in fun community service. Below are on-going service opportunities and more information on how to become involved. If you have an idea of something RCSC should become involved in get in touch with a board member today! RCSC is partnering with HomeStreet Bank this year for the 2015 Pride festivities. We are proud to be marching with HomeStreet Bank in the Pride parade and are happy to call HomeStreet the official bank of RCSC. Each year, RCSC puts together a team of volunteers to represent our support of the work Lifelong offers to people living with HIV/AIDS during the organization’s Seattle AIDS Walk. Rain City Soccer Club (RCSC) has participated in the Meal Providers program at Lambert House since October 2009. 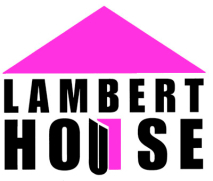 This means that every second Thursday of the month is RCSC’s night to bring in a small group of soccer club volunteers to prepare and serve dinner to the LGBT youth who use Lambert House as a resource center. This experience is a great opportunity for club members to give back to the community while serving with other soccer club volunteers. Rise-n-Shine, an organization that supports kids and teens affected by HIV/AIDS has been championed by Stonewall in multiple ways: here are some of the juicy details. Purr hosted a Bartender Auction event where Stonewall volunteers sold raffle tickets and other items as a benefit for Rise-n-Shine. During Rise-n-Shines Big Bailout fundraiser, Stonewall’s team raised over $10,000 and was the largest team fundraiser in the history of the Big Bailout. Stonewall also hosted an event called Gay Prom where they were able to raise $4,000 for Rise-n-Shine. Each holiday season, Stonewall sponsors a teen’s Christmas by purchasing necessities and wish-list items. Each summer, Rain City Soccer Club (RCSC) combines with other sport clubs under Team Seattle to march in Seattle’s Pride Parade. This year the Rain City Soccer Club will be partnering with Homestreet Bank and walking with Pride in the parade. This experience offers a unique opportunity to see the parade from a marcher’s standpoint as well as a chance to powerfully represent our soccer club’s purpose. You won’t be disappointed with the hijinks and fun that comes with marching. If there’s one thing that the RCSC does well it’s eating and drinking. 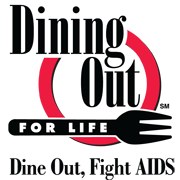 RCSC has participated in many of Lifelong AIDS Alliance’s Dining Out For Life events. 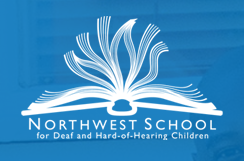 The club has volunteered at this school for multiple clean-up efforts on campus and at the business office.